Have you been struggling to get the most out of your business, find new prospects and convert them into clients? Are you desperate to tell your story…you know it could make a huge impact, but you don’t know how to get started? Are you afraid to promote your business properly when you speak to groups? Do you come away disappointed, knowing you could have done more? Are you sometimes concerned about stepping into the spotlight? Would you LOVE to find more speaking opportunities? Get ready to make a greater impact and grow your business. 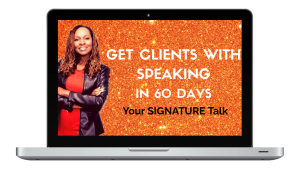 It’s time to Get Clients with Speaking in 60 Days!! I share my personal secrets and advice from speaking to and performing for 1000s of people worldwide over the past 10 years. So let’s Get Clients with Speaking! Are you the detail-oriented type? 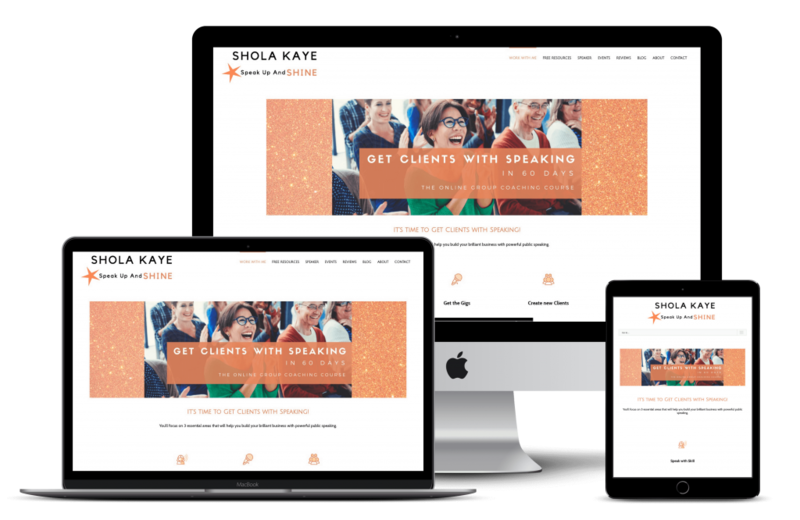 Read on to find out what’s in each module, how you can interact with Shola to get live coaching and what your juicy bonuses will be! Figure out your big why for speaking, your target audience, your calls to action and your desired speaking style. 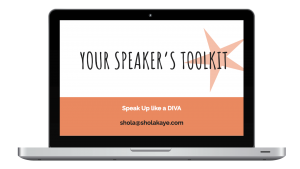 Learn what kind of prep work you’ll need in place to maximise each and every speaking opportunity. I also walk you through the exact slide deck I used with Harper’s Bazaar that has brought me £1000s of new business. And there’s more! I know that people often struggle with online courses because they feel alone and unsupported. But in this course we have a community and live trainings to help you succeed. Each month I host an online workshop. Sign up to book a speaking slot where you can showcase some of your content, ask for feedback and try out your pitch. Now you can speak to a live audience without having to leave home! Each month I hold 2 live Q&A sessions where you can ask questions live, or submit via the Facebook group if you can’t be there in person. The times of these sessions vary according to your needs and availability so don’t worry about not being able to make these sessions. Just complete the poll so we learn your preferred times, and we go from there! 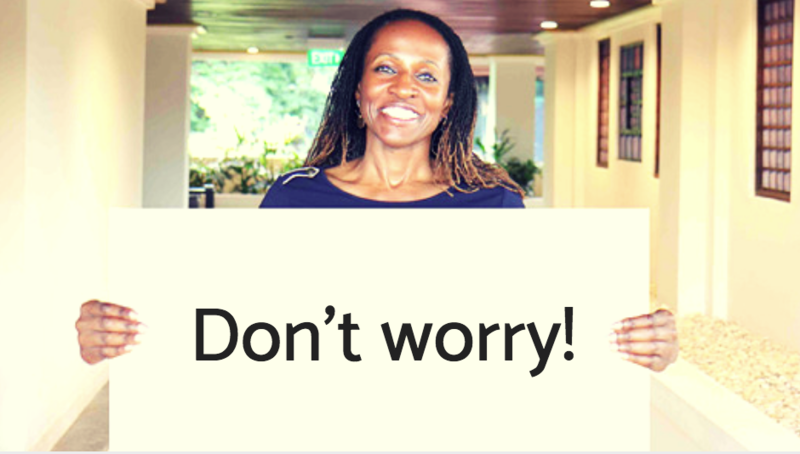 Interact with Shola and with your fellow course students via the Facebook group. Ask questions and get to know each other. You’ll be part of a growing community. Oh! And who would I be not to sweeten the deal with a stack of choice bonuses?? 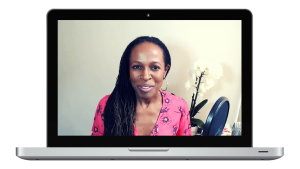 When you join the group coaching online course, you have access to ALL the content I’ve described above. On top of that, each month you’ll have the opportunity to attend an online workshop. I know that not everyone enjoys self-study, so I take you through the key content LIVE during a separate online class. And twice each month there’ll also be a live Q&A session to have your questions answered. 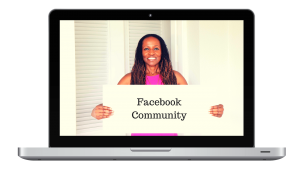 You’ll gain access to a Facebook group where you can talk to me and other course participants. And when you sign up for my mentoring program, you’ll get EVERYTHING mentioned so far, and also unlimited Whatsapp access, two 1-2-1 coaching slots each month, opportunities to speak at the monthly online workshops and one extra special ‘gigs on steroids’ power session. This shows you how to use systems, software and researchers to find opportunities FAST. If you’re prepared to do the work then we can make this happen. I’ll share my expertise and give you my support. Also, because I’m speaking regularly myself, I share with you what’s currently working. And in some cases, I’ll even share how to transition to paid corporate speaking if that’s your dream. I’ll be your coach and cheerleader. I know first hand that it can be a challenge to step up and speak to grow your biz. Having done the course I feel very excited and that it’s possible to grow my business with speaking. I feel like I’ve got a plan and a strategy and all I need to do is make a few tweaks. I’ve got all the resources I need and the clarity and a structure to move forward. Before, I was wondering how I’d achieve certain business goals, but now, when I listen to the materials, there’s always an answer. It’s very clear for me how to move forward. Shola’s course answered all the questions I had. Another bonus is that while lots of coaches talk about building a business with speaking, very few of them actually give you the tools to be an effective and interesting speaker. 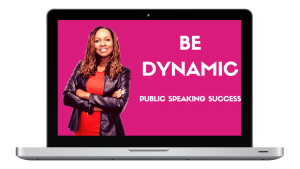 The public speaking modules in the course showed me how to be dynamic and inspiring and the D.I.V.A. system really helped. I was watching a speaker the other day and she was so dull I wanted to walk out. The course showed me how to make a factual talk fun and interesting. 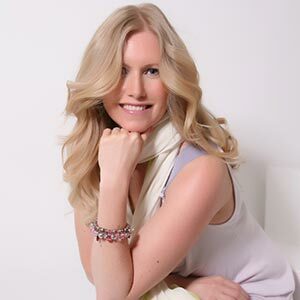 Coaching with Shola helped me see a niche for my nutrition business that I’d never even noticed before. 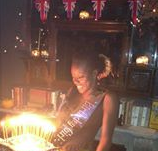 It made me realise that instead of hiding my past, I can now use it to connect with finance professionals and grow my business. I hadn’t realised that my life experience has helped me create a potentially lucrative niche, but now I see it, I feel fantastic and astounded! The potential is mindblowing! Email me and let’s see if this is the right program for you. Build your business today using speaking as the vehicle. Speak engagingly, find speaking opportunities and get clients! Formal qualifications are far from everything, but when you’re trying to make a buying decision that could change the course of your business, and indeed your life, every extra bit of information helps. 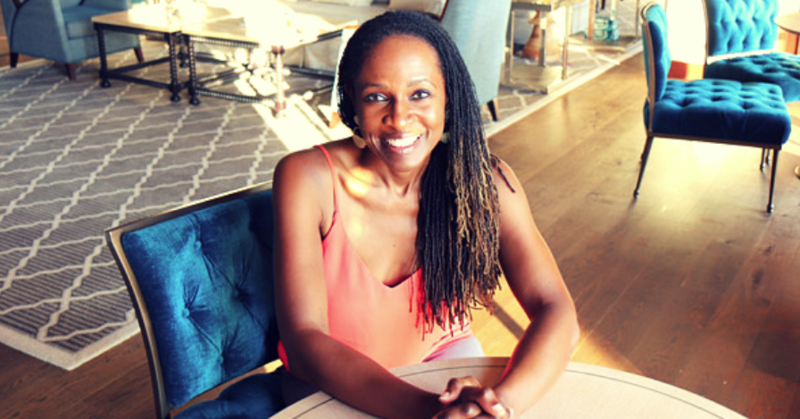 Most importantly of all, I speak regularly, and I’m a small business owner, just like you, so I understand how important it is to be focused and efficient. You want to make a big difference but time and/or money may be tight. Who is Get Clients with Speaking in 60 Days for? 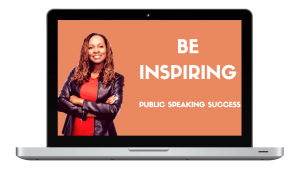 It’s for coaches, entrepreneurs and business owners who want to be better speakers, access speaking opportunities and grow their business using public speaking as a marketing tool. The course is a complete system to help you achieve this, and more. You can find new clients in as little as 60 days using this program. It’s not for people who are looking to get rich quick without putting any work in. You will need to apply the lessons to your speaking, reach out to find speaking opportunities and spend time crafting your signature talk. This course is great for newbies as the D.I.V.A. 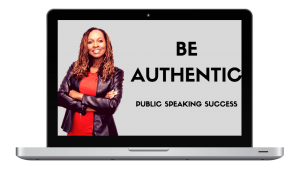 system takes you through the entire process needed to be an accomplished speaker. Select the tools and techniques that will help you most as you get started, and add to these over time as you build confidence and expertise. Modules on rehearsal and the bonus content will help you overcome nerves and fears so you can be confident and enjoy your time on stage. Seek out help during the monthly workshops and fast track your journey to acing the stage. What if my business is brand new? Don’t let having a new business stand in your way as an excuse. 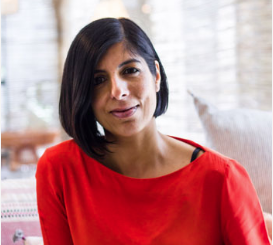 My client Tayyaba’s health coaching business was only a few months old when she decided to use speaking to market her work. 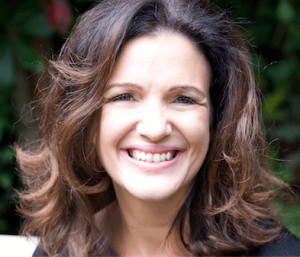 Within months of creating a strong signature speech and securing speaking opportunities, she made £22,000 in a two month period. Don’t let having a new business stop you from achieving your dreams and making an impact. 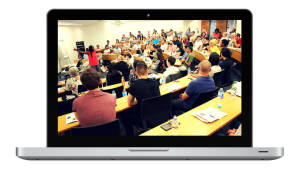 Seasoned speakers have found this content extremely helpful as they turn their skills to building business. Don’t get me wrong – an audience loves an entertaining speaker but there’s much more involved if you’d like to be persuasive and win clients. The modules on planning for success, creating a signature talk and finding and applying for speaking opportunities will provide you with business-building acumen. The module on rehearsal will help you focus on the small details that make a big difference if you want to turn your audience into satisfied clients. What if I’m completely new to business? Great! This course will help you save time and money by sharpening your focus and getting you working on useful skills and business building activities from the get-go. Over time you will need your website, lead magnets and other material in place but by taking this course you can focus on exactly what’s needed at the right time. Work at your own pace, avoid overwhelm and keep your eye on the prize. As long as you’re subscribed to the course you’ll have full access to the content, and as soon as you enroll all the modules will be available to you. I don’t force you to do a module at a time by drip-feeding them to you. What’s the difference between the 6 month mentoring program and the 3 month group coaching course? The mentoring program is for those who learn best with private coaching. You’ll receive all the content, plus 2 x 45 min sessions of 121 coaching with me, delivered online each month. You also have unlimited Whatsapp access to ask questions and get feedback. 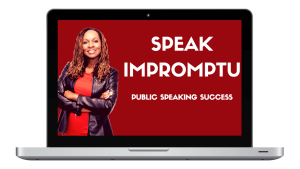 This program also gives you 3 speech critiques where I watch your video recordings and give you detailed recorded feedback. 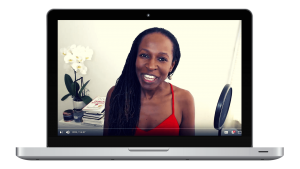 We have a power session called ‘Finding speaking gigs on steroids’ – and I show you how to find opportunities fast, using software, systems and researchers to help you scale up quickly. 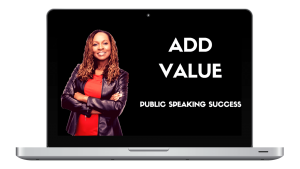 This helps you to up your speaking game, increase your profile and bring in clients and revenue at speed. If you’re on the group program you have access to all the Q&A calls and you can attend the workshops. This is more than adequate for most, and I do keep a small number of one to one slots available each month in case my group coaching students want to purchase extra time with me to overcome a particular challenge or work through a high stakes presentation. What time are the live training calls and workshops? I realise that as our intake changes, based on your geography you will have different needs. We will email you regularly and poll you on Facebook to find out the best times for these sessions and will do our utmost to plan them at times that are accessible to the majority of participants. Once the sessions are scheduled we’ll notify you of each one via email. All the live sessions will be recorded and the link posted in the Facebook group. You can watch these any time. Each module is approximately 1-2 hours in length. There’ll be activities to complete that will help you become a better speaker and build your business, but these aren’t compulsory. You can complete the modules in any order so if, for example, your immediate need is to find speaking opportunities, you might want to work on this first and then, when you have some gigs secured, take the time to create the body of your talk and work on your speaking skills. It’s up to you. You can get clients with speaking in 60 days, or less in some cases! But 6 months will give you plenty of time to become really confident with the system and a confident speaker too! Drop an email to us at info@sholakaye.net and either my VA, or I will answer your questions. Just put GET CLIENTS WITH SPEAKING in the subject line of your email. Email me and let’s have a chat to see if this is the right program for you. Build your business using speaking as the vehicle. Speak engagingly, find speaking opportunities and get clients!